The current Syrian refugee crisis doesn’t leave many people indifferent. The world is getting used to the horrible images of war, executions and bombings, but when dead families started to wash ashore European coastlines, the world started to wake up finally and realised these people are in desperate need of help and shelter. After an emotional cry-out from Ida Engberg on Facebook, Antwerp newest event promoter Ikon did not hesitate. A dozen text messages and phone calls later and things started to become clear - in just over a week’s time there would be a massive charity techno event supported and powered by possibly some of the best artists of the scene. 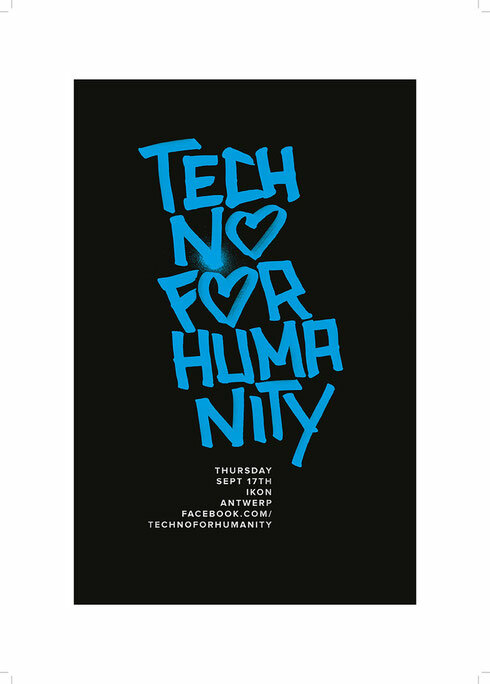 Techno For Humanity was born. The initiative was warmly welcomed by lots of artists, as well as international press and agencies, with full support from Resident Advisor, Rebel Butterfly, Pulse Radio , Be-at.tv and Wunderground. The event takes place on Thursday 17 September at Ikon Antwerp and will host three rooms. Headliners include Adam Beyer, Ida Engberg, Davide Squillace, Matthias Tanzmann, Guti, Marc Houle, Heidi, Christian Smith, Yousef, Marco Faraone, RENEE, Tofke, Ugur Yurt, Raw District and Kapibara. Via Be-at.tv you can follow the live video stream worldwide all night long. You can also make donations if you live abroad or simply can’t attend the event by buying a Support Ticket online! Every visitor receives a unique 3D printed souvenir.